Nomi has hit the jackpot this time around IMHO. The criminal banks require massive re-capitalisation because of the enormous losses (off balance sheet) that they have and continue to endure. The FED’s modus operandi is to protect the member BANKS and the Banking System. Should it fail in the first part then the latter is a foregone conclusion. Numbers that are published (for MBS buying) are grotesquely false. Considering the ratio of assets to derivatives exposure (GS is a classic example), one could assume that losses being incurred are well above generally accepted and reported. GS is a dead man walking. $85 Bln / month is a hoax. A bankruptcy event, which then triggers an avalanche of cascading bankruptcies and ultimately Bank runs and the shutting down of the monetary/banking system. I favour a market event being triggered before the FED gains more freedom to print ad infinitum. So the assumption that the FED must continue to print to keep the Banks alive is a slam dunk….until the referee blows the whistle and calls FOUL. Its not going to be pretty when the ball is taken out of play. Not only will investors (in the Banks) get smashed, so too will the Bond/debt Holders (including Tier 1) and of course the depositors. Across the board all lights will be red. “Be fearful when others are greedy”. That implies getting out of the Banks in every way possible. In sum : The Banks have re-defined Avarice. Time to get very fearful. Yes LM, she revealed in no uncertain terms what the Fed is really doing. Helping the big banks in a big way. That is what I keep saying to folks. They are using QE at saving themselves, not us. They are buying tangible assets with ‘monopoly’ money. By monopoly money I am saying money growing on trees. They get assets with value, while we get devalued and soon confiscated. This a pre-WW stuff. That is why we had so many ‘paranoid’ writers of the 1920-1950s era and had such classics as ‘1984’ and episodes of the Twightlite-Zone and Alfred Hitchcock. We are in those days now. What market? When the Fed began the QE the markets and capitalism perished. Period. The big 6 will go down for whatever reason (when 1 go down, the rest go down to) and they will crash the entire banking and financial system. The bail-ins will be unavoidable and the Fed will continue the QE. So the good news is, we will be billionaires, the bad news is everybody else will be billionaire to and even in the EU and Japan, because they CAN’T isolate it in US (I suspect the 1st collapse will be in Japan and it will take down the BIG6). Russia, India and China is relatively safe and stable, because they have lot of trade agreements and they are putting together an alternative financial system. I could not agree more with this statement, “When the Fed began the QE, the markets and capitalism perished. Period.” That said, “Russia, India and China are relatively safe and stable . . .” are not. When this unwinds, the whole world will feel extreme pain. China is on the verge of a real estate bust the world has never seen. Thank you for your comments. I get your point, I’m aware of the fact the Chinese growth is fueled by dept fueled consumption of the west. And Chinese government were fully aware of that even in 2008, because until that date they were fine with that, after that day they realized they huge strategical mistake made in the 80’s. When came up with idea of the wests consumption fueled growth, and treated the domestic market as obstacle. Now they are trying repair their strategical economical mistake, they are trying reorient they own economy, but this change is like trying make an U-turn with an Australian road-train (Google it). But China, India and Russia unlike most of the western countries have resources and production capacity, so if these can hold themselves together (all of these 3 nations are accustomed to hardships), then they will be the leading power for this century at least. They are all moving into physical assets, while they tell everyone else to get into their paper ponzi scheme stock market. Nomi Prins talks about the feeling that I’ve been having lately : FLOATING IN A VOID. Everything now seems completely FROZEN, with no prospects for movement. Looks like it will take a Black Swan or a domino event to break the FED-made inertia. She is speaking in a fluent speedy tone as if she is reading from the screen she is looking at UP UNTIL you asked her about BAIL IN, then she stumbles, pauses and stutters which is not the first interview she has done that, so what is that icy Goldman Sacks face is not telling? I think she is using the article she wrote as reference. Here it is:http://www.nomiprins.com/thoughts/2013/12/6/the-feds-employment-taper-myth-big-six-bank-stocks-and-downg.html Not flattering to the banks and Fed one bit. Thank you for your comments. Soooo….It appears that it is full steam ahead until the boiler explodes. When it explodes, it is going to be way beyond ugly. Remember, the future belongs to the prepared. I wish my kids would follow your site. Keep up the good work Greg. Nomi is so pretty its distracting . The way I see it is that our entire Global financial and banking system is like a hanging loose tooth. All it takes is for a Black Swan event and all bets are off and it will be Lehman Bros 2008 all over again except this time there will be NO fixes to quell the global meltdown. Greg, nice interview, if the FED did have a mandate regarding employment its grade is an flat F. Although jobs are being created, a breakdown of those jobs are most telling, mostly $10 hour and part time employment; not living wage employment! So, America, the Administration, the FED, Wall Street, & the elite, go ahead and clap for yourselves, a large majority of your newly created jobs are making a new American class, the working poor. Don’t be fooled into thinking the low paying jobs are just entry level positions whereby a person can move up, think about it, if the vast (vast) majority of the created jobs are entry level and no upper level where will those lower positions move up to? America is getting poorer, the middle class is eroding, and the one percent are eating cake & drinking champagne at the country clubs, raising their glasses to toast the stupidly of the American working people for putting up with it; history buffs, sound familiar? Thank you Art. Yes, “F” is the grade I’d give the Fed, too, on job creation. Basically, ANY job that does a form of manual labor (waiters, cleaners, police, firemen, construction workers, etc) a robot can be produced to do it at a cheaper cost then a biological human. If employment was at 100%…then that would mean we were not embracing technological advancements…seems kind of “backwards” to me. I hope we never replace a fireman with a robot. I want a fireman with human emotions over riding his mind to save my life. That’s why there hero’s. I don’t like cops but Robo cop is never going to do a better job . I personally like being waited on by a cute lady. Somehow my meal seems complete by her smile. And last construction men and cleaners get the least amount on money for the WORK they do. I say If you get paid it should be by the amount of sweat, blood and teats you give into your work. As a life long construction man I have seen this so called progress, and the down fall in quality, and pride of work. There is nothing better for a human then to eat good food, drink good drink, and be happy with the work of that day. We are coming to the point where the Terminator movies will go live, just like all their drills they run around the country. Police are not doing manual labor. They have to use judgment and discretion to uphold the intent of the law and maximize public safety balanced against the rights of the accused. You do not want robo cops or robo judges. Robots are good at repetitive exhausting tasks, and at reaching such tiny areas of nano production that human fingers are just too big. Robots are also good at jobs that involve exposure to chemicals or dust. There are many things better done (or only done) by robots, but still plenty of things left to be done by human beings, such as robotic design and programming. I guess that it is safe to say that the banks, the government and the nation at large has totally lost control of what is going on, the system is on auto pilot and will maintain current course without the ability to respond to anything until we run out of fuel or run into something. America has lost control of its future, the pressure needed to end this fiasco will only come from the outside world as other nations who are not so god damned lazy and over invested in this corrupt system to the point of inaction will in fact walk away. We are simply waiting for the rest of the world to create an alternative to our blatantly criminal economic system—don’t expect America to come out of this in one piece, much less even remotely recognizable. Beautifully encapsulated, Brian. Merry Christmas. Not Larry….Not Barry……Not Mary……But Jerry. Greg I am always amazed at the lengths you go to, to be diversified in your interview process. Naomi Prins is definitely no Jim Willie. What is it about these former Banker types, that all think this façade of phony Banking practices under QE will continue to go on? It can’t. Don’t they understand that even though the American people may be asleep, the rest of the world is wide awake, and has caught onto the bogus accounting practices that our government continues to use? The old saying “follow the money” is true, and right now I’m seeing train loads of Gold being delivered to China as we continue to print money! What do we have as an asset to back up this QE printing? Absolutely nothing but debt! Unless we are sitting on a mountain of Gold hidden somewhere (like Karen Hudes contends), the dollar is going to be toast when the Chinese ask to see our cards in this high stakes monetary poker game. Greg I think we’re bluffing, and they know it! I wouldn’t be surprised if the dollar didn’t loose reserve status worldwide within the next 90 days which would trigger the beginning of the slide of the dollar. Some people think much sooner. What say you? And that should be real obvious with all the countries asking for their gold back. I think these countries are going to get together & nuke us for what our govt has done to everybody. Thank you for having a wonderful guest, Ms. Prins on your fantastic show. Proof once again, the Fed was created for the sole purpose of protecting their member banks at the expense of everyone else. Old corporatist story: Pocket the wins, and socialize the losses. Heads they win, tails they win. Fool proof. Great show, once again. Thank you. 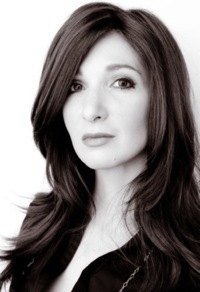 Another great Nomi Prins interview on the criminal banking sector Greg! My question is… has this FSB (Financial Stability Board created by the G20 after the crisis) model been formally introduced in any US bank resolution documents? 2. The Fed MBS purchase information (confirming the Big Six as benefactors and yet another stealth bailout) in your interview was great… I would like to know what the Fed is paying the banks, compared to current fair market value (of course the difference is a 100% gift to the banks and the entire process is completely removed from the stated goal of the purchases… that it supports the overall housing market). I understand its book value. There is no “Mark to Market” adoption of Accounting Standards, so all values are carried at original cost /value. That is the Elephant in the Room because collateral will be tested at some stage, then we will see where true value is and how much negative equity they (Incl. the FED) have exactly. So, I’m just trying to understand this: The big 6 banks have more liabilities than assets and if Bernanke didn’t print money out of thin air and give it to them, they’d all have to declare bankruptcy? Is this correct? So, essentially, people who think they have money in the bank are only protected upto the FDIC’s $100,000 dollar limit? So, if you’re a business with say $100 million at Bank of America you could potentially be screwed? Str8 to the top of the class NM. Section 13.3 was repealed under Dodd-Frank Act. Section 13.3 gave the Federal Reserve the option bailing out individuals instead of banks. The question is why would anyone do such a thing? Cui bono comes to mind. Great show Greg, I catch them all. Your guests are very informative and I encourage others to follow up on references within your show. Great job. Good info and links Anthony Casey!! Thank you for posting here! Additionally, using http://beta.congress.gov/, in search area, select All Sources from drop down menu, and enter H.R. 4173. While extensive at 848 pages, this is a digital PDF document. Using electronic find or keyboard [Ctrl F], one can quickly search through the document and find relevant changes to section 13, 13(c). Just one more lie among hundreds. I agree with the “F” grade, but What employment? They just came out and said that 203 thousand jobs were created in Nov. making the job less rate 7%. Other stats put it at 11-13%. But even at 7%, 203,000 jobs is a drop in the bucket. Come on it’s Christmas, you have to expect stores to put on part time Christmas help. But again the numbers have been fixed before. Look at the stories that just came out about doctoring the number right before the election last year….. Look familar!!!! At long last the magical 7% has been achieved. Now we move to tapering…ho ho ho !! Lets play connect the dots! You win!! Only to a liberal socialist does do not contact mean it’s OK to call me. Excellent article, Chip. Thank you for sharing the link. Holder can’t find resources to investigate fast & furious or IRS or Bengazi but he has time for this. Once the money printing stops it doesn’t matter how you spell dewercs , it all means the same thing. ” we’re screwed”. Is there any doubt that bail-ins are coming. This is shocking information. Greg, thank you as always for such great work. I look forward to checking out your latest posts every few days. I am trying to gently open the eyes of family and friends who may not be as receptive and more likely dismissive of such information. If anyone is in the same boat check out my site and comment, please. I look forward to hearing methods of spreading this method without being labeled a kook! @#$%^ Thanks again! Concernedamericandad good site. Keep up the good fight of faith. Thanks J.C.-I’m trying-stop by and comment some time. For pete sake, post the corrected data. The banks outperformed 2-1 not 10-1. If you don’t take accuracy seriously, you will lose influence quicker than the snowball in hell.